An archaeologist has just unearthed the find of his career, the tomb of Ramses II. The door to the tomb is lettered with a curse, the mummy of the king who claimed to be immortal lies shriveled inside. 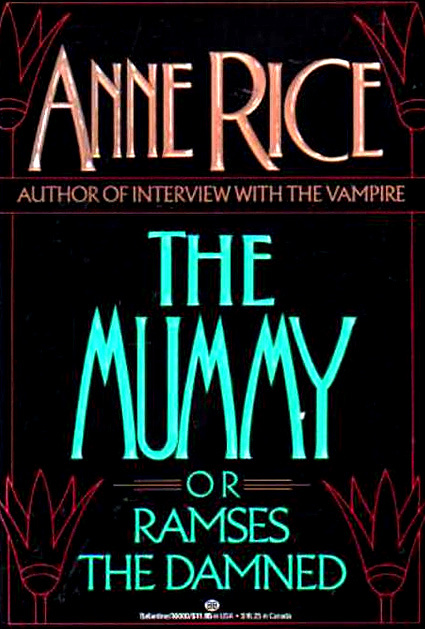 The archaeologist dies and the treasures are shipped to his daughter Julie in England, who finds that the mummy comes to life as a perfect man. Julie grows to love him and introduces him to modern life, including the museums that purport to reconstruct his time. He becomes disturbed and disgusted with the modern portrayal of his beloved Cleopatra. Ramses and Julie, her ex-fiance and his father Elliott in tow, travel to Egypt. There, Ramses is further upset by the tourist flavor given to his ancient civilization. In one of the museums, he recognizes an "unknown" mummified woman as his beloved Cleopatra. One night, he returns with the immortality elixir and raises her from the dead. But Cleopatra is not restored to her beautiful body or mind. She is a horrid monster, a walking corpse of rotting flesh and a disoriented mind that kills without mercy. Ramses abandons her, leaving her to Elliott, not realizing that he too is in peril. All in the party partake of the elixir, with Cleopatra and Ramses in the shadows.